Prominent & Leading Exporter from Vadodara, we offer hdpe vest carrier bags. We have been affianced to manufacture and export an excellent grade array of HDPE Vest Carrier Bags. These bags are highly famous and utilized by the young crowd. The robust structure and spacious comfort help users to carry a good amount of goods in the bags. Provided bags manufactured using polypropylene, cloth, strong threads, and zipper. Veteran tailors and professionals using smart sewing machines stitch the bags for the clients. 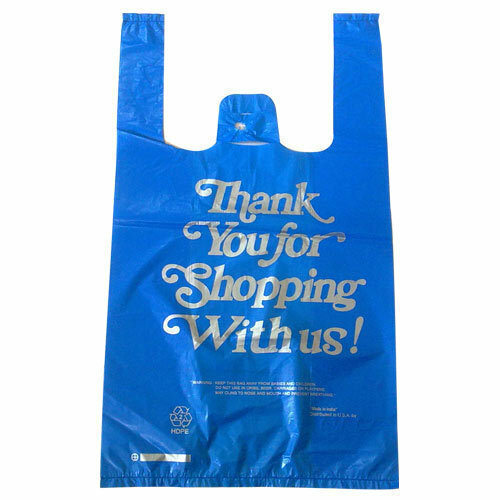 Also, clients can avail the bags according to the required specifications from us. Looking for “HDPE Vest Carrier Bags”?